Kentucky lawyer and former state Attorney General, first elected to the US Congress in a 2004 special election to fill the remaining term of Congressman Ernie Fletcher, after Fletcher defeated Chandler to become Governor of Kentucky. 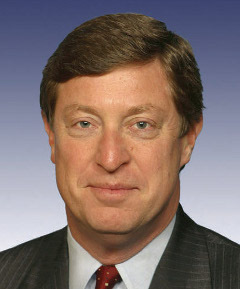 "Blue Dog" conservative Democrat; opposed the 2008 Bush-Cheney Wall Street bailout, supported the 2009 Obama economic stimulus program, supported the 2010 health care reform. Serves on the House Committee on Appropriations, and the Science and Technology Committee, among other assignments. Grandson of legendary Kentucky politician and Commissioner of Baseball Albert "Happy" Chandler. Father: Albert Benjamin Chandler Jr.